A ghost that shouldnt exist. An ancient secret uncovered. A sinister paranormal research foundation. An abandoned God. The ghost hunters find themselves fighting for their lives in two realities, resolving the haunting their only hope of survival! Ray and Christa Brown have invested their life-savings in buying and restoring the Torre Mews guest house, only to find that they have an unwelcome tenant. Malachi Hunter and his team are called to investigate, and discover more than they bargained for in a seemingly impossible haunting. Will Cooper, a guest at the Torre Mews, is probing the mysterious, unsolved murder of his father. He identifies former policeman turned ghost hunter, Nick Rueben, and challenges him unsuccessfully on the circumstances of the case. Armed with his late father's occult research, Cooper turns to the sinister Esoterica Foundation for help. 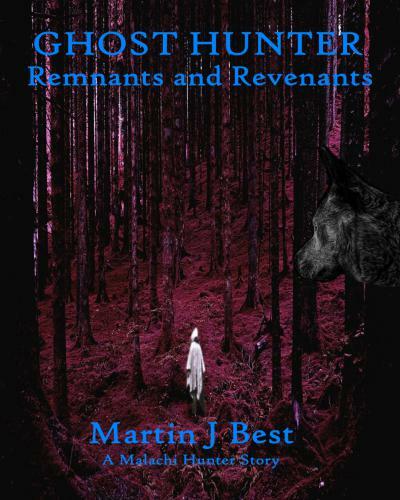 Drawn into a confrontation with Esoterica, the ghost hunters find themselves fighting for their lives in two realities; resolving the haunting their only hope of survival.